This week-end I did model some rocks and debris, then I started to model random props. 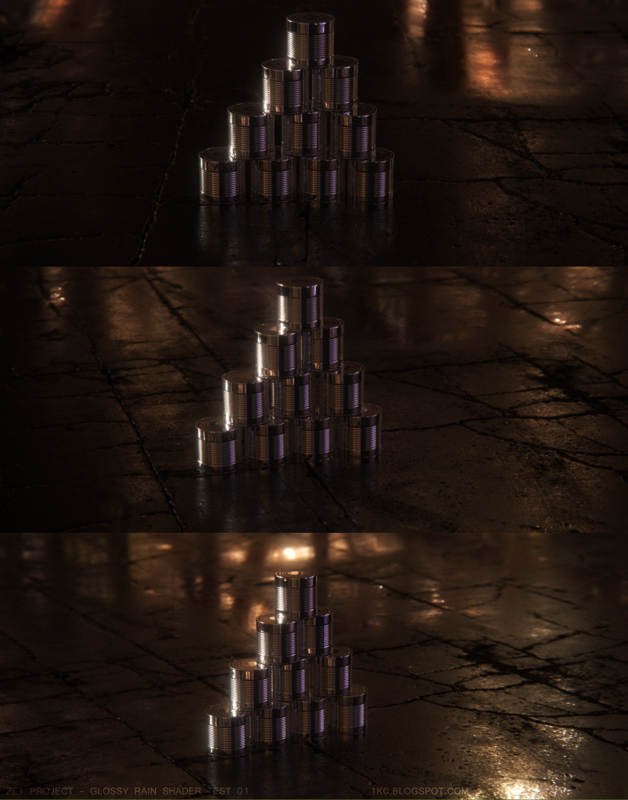 To test how the light and reflections did react on one of those I imported my ground plane with its glossy rain shader (some areas are more wet than others controlled by different painted maps). What I learned : Stop being a beast on values, sometimes lower the value even to a number close to 0 can produce subtle but nice effect on the render. Uncompressed images taken from the above video.